This post is part of “Wine and The Sea” — a project in collaboration with several food and wine blogs. Thanks to Erin Scala of Thinking-Drinking for inviting me to participate. There’s a moment in Edith Wharton’s piercingly funny, devastatingly beautiful novel, The Age of Innocence , when Mr. Sillerton Jackson — consummate dinner-guest and even more consummate gossip — weighs the relative burdens and benefits of dining in the home of the Archer family. The food, he muses, is inevitably far from good. But the conversation is sure to be fascinating. And at least — luckily, he thinks — the Archer Madeira had gone round the Cape. And then, of all things, I read Patrick O’Brian’s Aubrey-Maturin books . O’Brian’s books — which, as a body, I have come to love almost as dearly as The Age of Innocence — are peppered with references to the shipboard delights of Madeira wine. 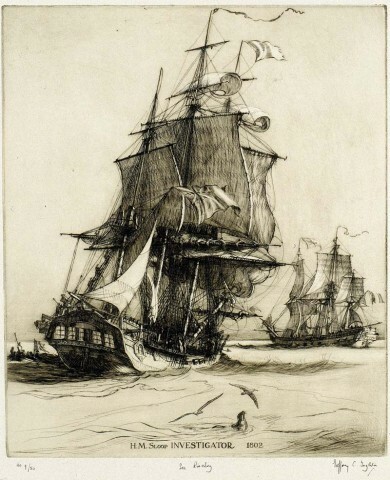 As our two heroes themselves sail round the Cape in the H. M. S. Surprise, thwarting Napoleon’s imperial aspirations from Gibraltar to New South Wales, they engage in all the gentlemanly pursuits of officers in the Royal Navy — at least so far as the deprivation inherent in long-distance travel by wind will allow. In the civil tones of early-nineteenth-century gentlemanly formality, they ask each other things like What do you say to a glass of Madeira before we go to the gunroom? I believe they have killed their younger pig for us, and Madeira is a capital foundation for pork. And O’Brian’s narrator follows with his own capital dry wit: that Madeira did very well as a foundation, burgundy as an accompaniment, and port as a settler. And that by the end of the meal, Captain Jack Aubrey was perhaps a little nearer apoplexy than usual. You may find it opaque, based on this particular extract, why O’Brian’s books have whetted my interest in the wine. But as I’ve said before, I’m a sucker for all things nautical. And if Madeira held a special interest for the mighty Captain Jack, I would at least like to know why. It turns out that the answer, and the explanation of Mr. Sillerton Jackson’s comment in The Age of Innocence, are all one. Madeira, it turns out, is the most nautical of wines. 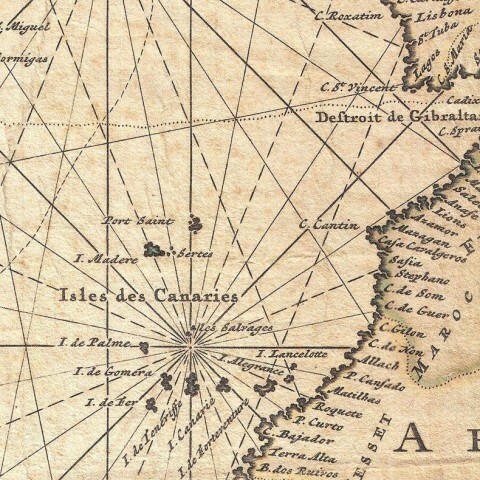 It is produced, as this online guide attests, on a small volcanic island — a Portuguese possession between the southern end of the Iberian Peninsula and west African coasts, on an important trade route of old. In the seventeenth and eighteenth centuries, Dutch and British ships would supply there before continuing on around the Cape of Good Hope, or across the Atlantic to North and South America. And so the wine became a favorite of sailors and their associates, including (but not limited to) European colonists bound for new homes. But the mere fact that Madeira (the landmass) is surrounded by water only just begins to explain the strong association between Madeira (the wine) and the sea. The key to making the stuff is the intense heat in which it is aged. According to this other guide, heat is applied very slowly to the wine as it ages, waxing and waning, month after month, until the aging facility reaches a temperature of about 40 to 50 degrees Celsius — 104 to 120 degrees Fahrenheit. Today, this process is achieved through temperature controls, heaters, and specialized casks. It’s all done on land. But in times past — in the age when large-scale heating meant large-scale fire and the possibility of incinerating your product if a stray ember escaped — winemakers determined that the optimal conditions for aging would be better achieved aboard ship. 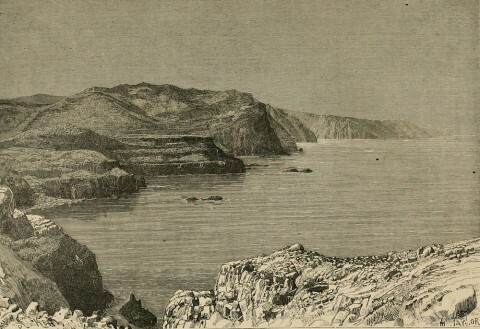 The intense heat and constant movement of the ships had a transforming effect on the wine, as discovered by Madeira producers when one shipment was returned to the island after a long trip. The customer was found to prefer the taste of this style of wine, and Madeira labeled as vinho da roda (wines that have made a round trip) became very popular. That method proved understandably costly. Hence, the efforts to simulate it at home. 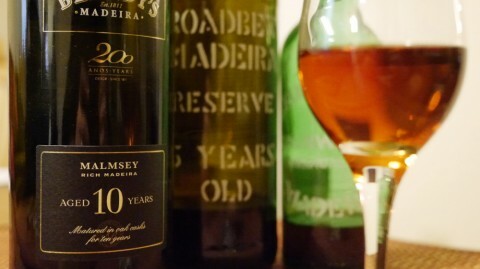 But simulated voyages or not, for those of us in the twenty-first century, the bottom line is this: while it is indeed true that good examples of the wine are often very expensive, and while — like port — the styles we get in the United States, at least, are very sweet, there is more to Madeira that meets first blush. 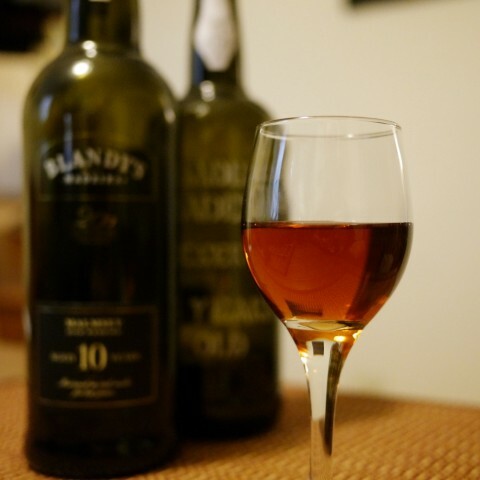 Good Madeira is singular: sweet but complex, with notes of toffee, prunes, and dried apricot. It is intensely fruity when it is young, while older examples become pleasantly syrupy, with a quality that is not unlike good balsamic vinegar. And that perception is only enhanced by the fact that by ten years old, the stuff is a deep purple-brown, and trending toward black. Were I to compare it to another wine, aged tawny port, I think, would be the closest analogy. When I was in Lisbon, I tasted some bottles of thirty year Krohn that had a similar candy quality to them, like the sugars had begun to caramelize and you could almost imagine their crunch between your teeth. But while it shares certain qualities with that venerable port, it is not at all the same. Madeira is deeper and richer, and perhaps more acidic. And it pairs even better — I think — with stilton cheese and walnuts. If you are in the United States and can afford it, I would recommend taking the plunge for five- and ten-year aged bottles from Blandy’s or Broadbent. Both are well-respected exporters who seem to do a pretty good job of scouring the island for examples that offer quality and value. In both cases, their five year bottles were drinkable and delicious from the moment I pulled the cork. They fall somewhere between the fruity and the syrupy in their process of maturation. And they’re easy to like, even if you don’t have a lot of prior experience with fortified wines. As for the ten-year bottles, that is a slightly more complicated affair. They needed to be opened and allowed to breathe for twenty-four to forty-eight hours in order to reach their peak. In my initial taste, there was just a hint of a plasticky, chemical flavor that I’m given to understand has something to do with the cork. But allowed time to air, it dissipated, leaving dark, viscous balsamic-ness in its wake. Of the bottles of cheaper Madeira that I tried, only the Broadbent rainwater really answers. Rainwater, according to the Wikipedia, is mostly produced for American audiences, and it is just about the least aged, least well-regarded style you can get. The other samples I tried fell somewhere on the spectrum between useful-in-cooking and just-plain-vile. But the Broadbent was very pleasant. A lot like their five-year, but thinner, and more prune-forward. As a hobby, I fear that Madeira can seem effete to folks who don’t already care for it. And far from evoking the sea, it has gained a reputation over the years as a drink for little old ladies in London parlors who like to sip something sweet and inebriating with their afternoon tea. But Madeira is also rewarding. Like sherry, it offers an insight into a tradition of winemaking that is increasingly forgotten, and increasingly outside the scope of cookie-cutter dry reds and whites. It’s a peculiar practice from a little out-of-the-way island that isn’t really very hospitable to grapes in the first place, where the inhabitants have made the most out of the resources they’ve got. And in the end, I suppose I can recommend it no more highly than this: if it’s good enough for Edith Wharton, and if it’s good enough for Patrick O’Brian, it’s good enough for me. It’s nautical, it’s delicious, and it is most certainly worth your time and attention. The Age of Innocence . By Edith Wharton. Windsor Editions, 1920. “The Heating Treatment.” From Madeira Wine. H. M. S. Surprise . By Patrick O’Brian. W. W. Norton & Company, 1991. “Madeira.” From Wines of Portugal. “Madeira Wine.” From The Wikipedia. Aaron Nix-Gomez (Hogshead) — “they had drunk English wine sold at Jacatra” : The Cultivation of the Vine in England and the East India Company’s Concern for Wine 1600-1630. Graham Harding (Wine As Was) — On the scale from Riches to ruin: the cargo of champagne in R.L. Stevenson’s Ebb-Tide. Frank Morgan (Drink what YOU like) — Wine and the Sea — Consider the Oyster. Erin Scala (Thinking Drinking) — Wine and the Sea: Aphrodite Rising.